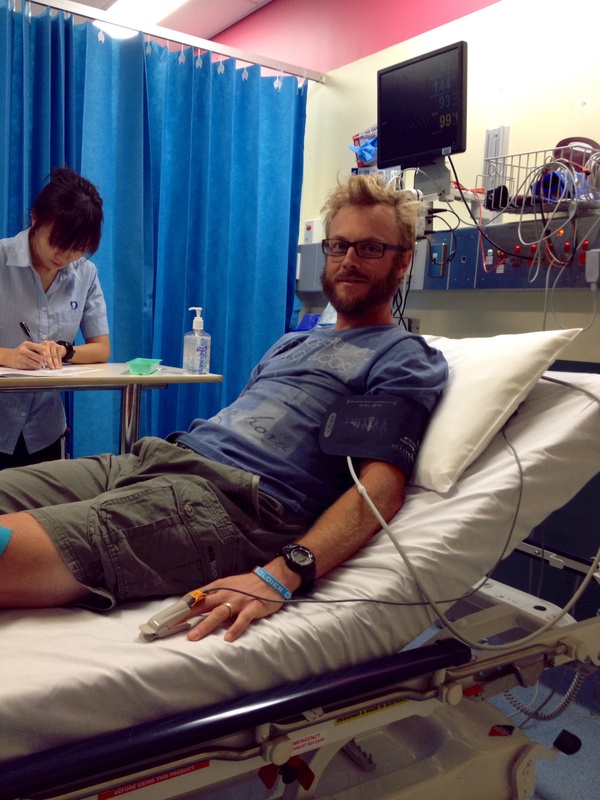 After riding 406.9km the week before I was keen to continue the big kilometres – but my quads had other ideas. I needed to take it easy and was still finding my groove in the new training program. I mixed the week up with road riding on Sara and dirt commuting on Emma; this seemed to work and by mid week I was finding my rhythm and spending some much needed time in saddle. Although I was still in a base-building phase in my training (basically just riding as much as I could handle) I decided to inject some heart-rate zone training into my program. This proved to be beneficial as I was starting to understand and put into practice the basic ideas of endurance training; something that I will need as second nature during the 24 hour solo.
.:Posing on the Centenary Trail:. 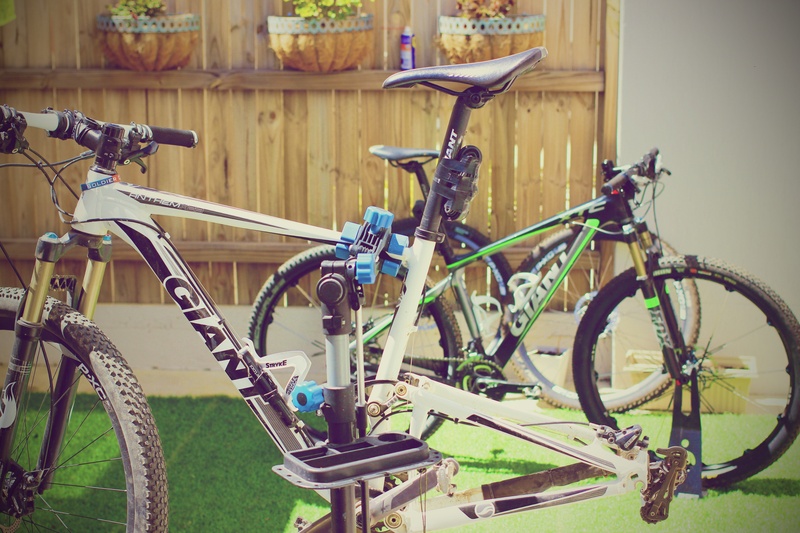 By the time I washed my bikes ready for the next week of riding I had chalked up 402.6km – another 400km week. The weather forecast was not looking promising for a big week on the bike. Sure I could have just gotten on with it, but was riding in 40’C really worth it this early in my training program; no! So I got up early and rode to work the long way before the heat kicked in. Having ridden over 800km in the previous two weeks I was finding it harder to ride for long distances. My knees were aching and my quads were sore to the touch. So I backed off a bit and finished up with 302.5km for the week.
.:47.5’C on the ride home was horrible:. The week started off with the aim of riding more on Kate the XTC. I intentionally kept within my ideal heart-rate zone in order to build endurance on the mountain bike. Surprisingly, riding at a slower pace with a consistent cadence and heart-rate you are are actually faster over longer distances. There is less recovery time needed as the higher intensity intervals are no longer there so you can just keep pedalling for as long as you want. I kept to the bike paths early in the week to get my cadence and heart-rate dialled in before switching to dirt and putting the same principles into action. I quickly found my rhythm and was finding my new riding style a lot easier to manage and exactly what I would need in a few months time. I took Friday off work and headed out to Mt Stromlo for a training ride with the focus on climbing and endurance. My aim of 50km was cut short at 35km after it started hailing and the trails became a mixture of mud and ball-bearing like grip. On Saturday I returned to Mt Stromlo and set off for a high intensity ride with a focus on climbing up the mountain with a red-zone heart-rate. The ride was going extremely well and I was enjoying the heavy sweating and throwing my bike around the trails with renewed confidence. 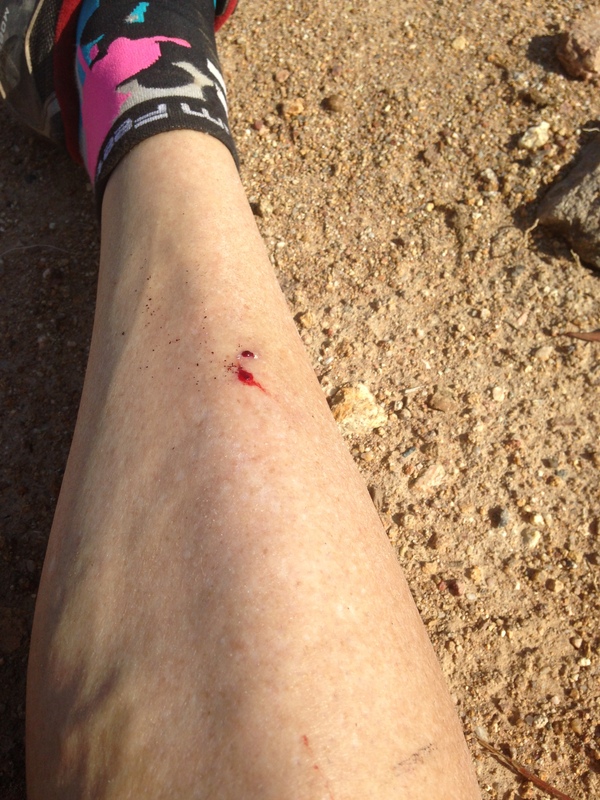 On my second lap of the course I was riding up Blackberry Climb when I met a Red Belly Black snake on the trail.
.:And that’s what a snakebite looks like:.
.:Chilling at in the Calvary Hospital Emergency Department:. Long story short: I was bitten but not envenomated by the little snake. It did however mean an enforced but not unwanted rest day off the bike. At the end of my fourth week of training for the Easter 24 Hour Solo’s I rode 224.5km. While it is a smaller amount than previous weeks I achieved a lot of goals and learnt some valuable lessons on and off the bike. Another Blog series about training! Gah! Why!? Well its all part of the training that’s why! Motivation is one of the key components to sticking with a training program; especially one in its infancy. I find it easier to continue with a training program if I can share the highs and lows with others. But this time around I won’t be subjecting the masses to weekly updates (to be honest I struggled writing a new piece each week last time) instead I’ll be doing semi regular updates detailing key milestones, mishaps and interesting things. The OnyaBike 2014 Australian Solo 24 Hour MTB Championships held over the Easter weekend. Don’t let the Championship part fool you, there will be no riding for a fairytale podium finish; focus more on the Solo 24 Hour part! Yes that’s right, I am aiming to ride in my first 24 hour solo race, so naturally I have to do some serious training for this upcoming pain train. After a fairly relaxed Christmas break in Brisbane riding in the stifling heat (by Canberra standards anyway) and climbing up the never ending series of steep hills I was in pretty good shape fitness wise to tackle my first week of training for the Easter solos. With a few days left before I had to go back to work for 2014, I decided I wanted to put some extra kilometres under the tyres and set a big total for the week. What I didn’t expect to do was ride more in the first week of my training than I have ever before. Monday saw 87.3km on Kate the XTC during a ride to and from Mt Stromlo. 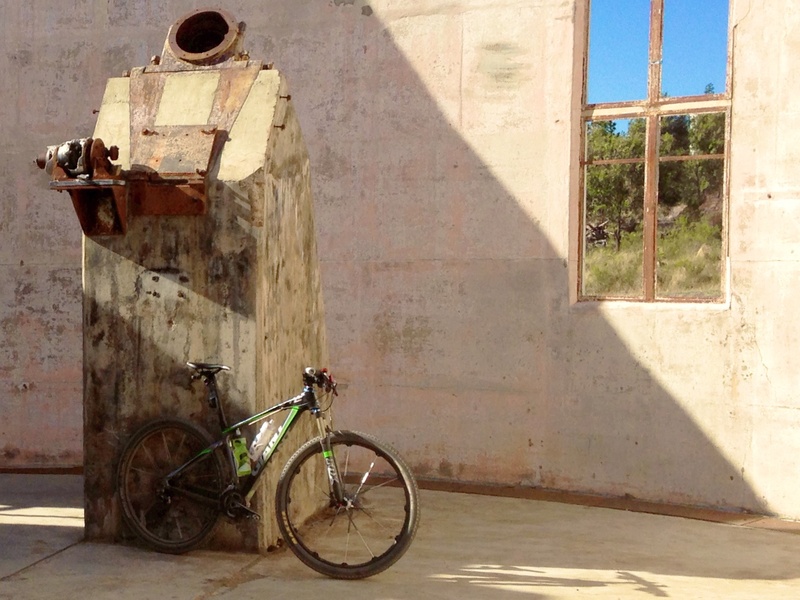 It was a hot day and I didn’t drink enough fluids.
.:Kate posing at Mt Stromlo:. 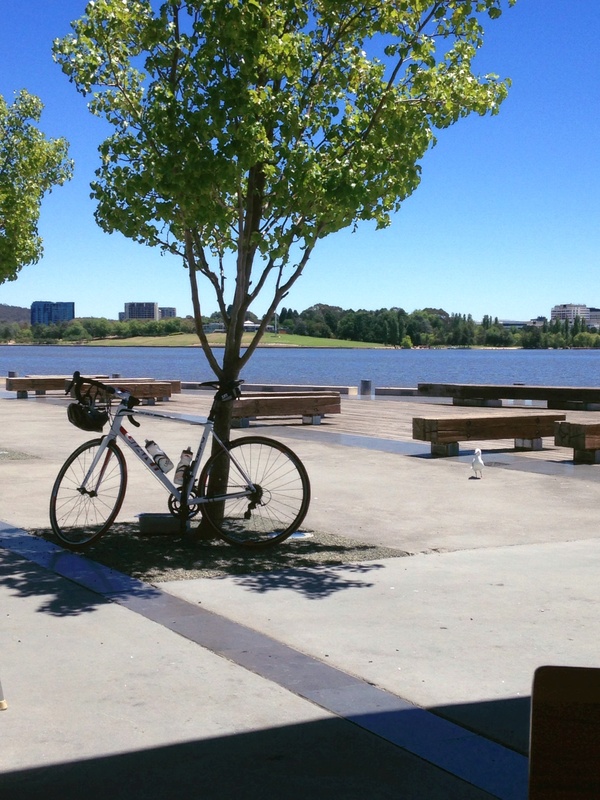 However I backed it up on Sara the Defy with a 100.3km ride around Canberra on Tuesday.
.:Sara chilling by the lake:. 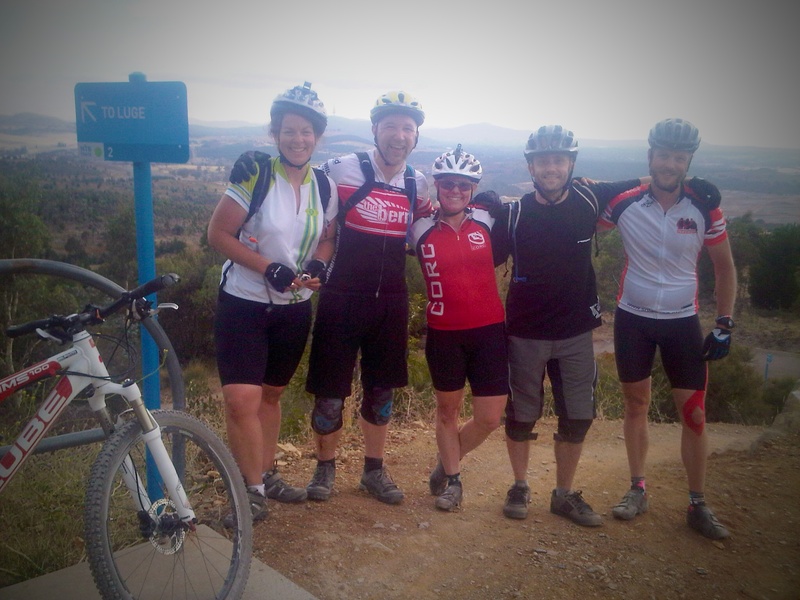 Wednesday was a New Years Day ride at Mt Stromlo with some of the more dedicated The Berm crew (well those that didn’t race at the Wicked Wombat in Jindabyne the day before). 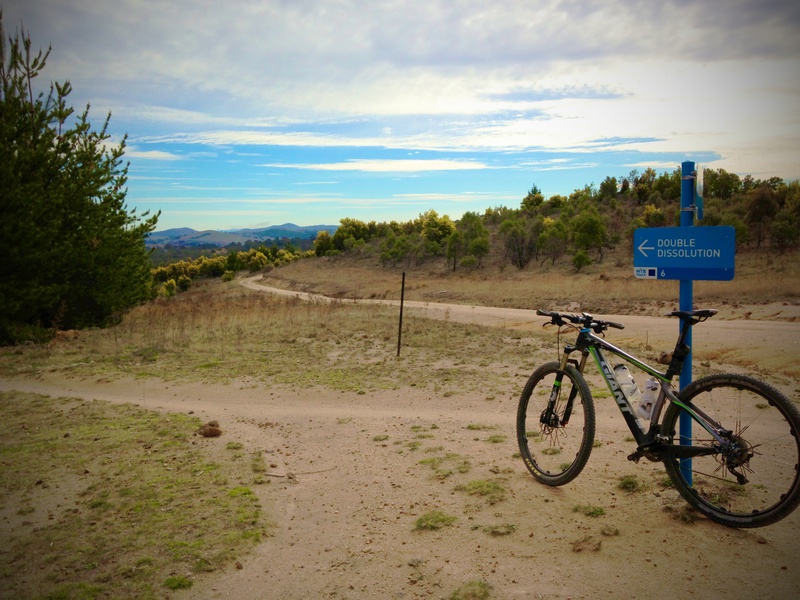 I rode 27.2km of sweet Stromlo singletrack to ring in the 2014!
. :A fine looking bunch of sober cyclists:. Thursday and Friday saw the return to work for the new year and joining the Canberra cycling commuting community once again. In two days I added another 97.2km to the weeks total, just 2.8km short of what I was aiming for.
.:Somewhat hot on Friday afternoon:. Saturday saw a new bike join the stable and some short rides around Mulligans Flat dialling it in and trying to set some new Strava PR’s! As usual Sunday morning comprised of my regular Sunday Morning Social and Breakfast ride with The Berm crew. A relaxed 56.3km in the morning followed up with a brisk 8.9km in the afternoon on the brand new Emma. At the end of my first week actively training with a semi-set program and a clear end goal to achieve, I rode 406.9km. Week 16 was my week of training and preparation for the Scott 25 Hour. The week started with a long weekend in Canberra thanks to Family & Community Day on the Monday. So what better way to commemorate than to go for a spin around Kowen Forest/Sparrow Hill. With fellow Bermers Roger, Tony, Alyssa and last years Battle of the Beasts riding buddy Argo; I enjoyed 34.7km of my favourite trails. Wednesday was my first night ride at Bruce Ridge, partaking in the Regular Berm Loam’n’Lard ride. A great ride followed by an awesome chicken schnitzel at Edgars Inn afterwards. 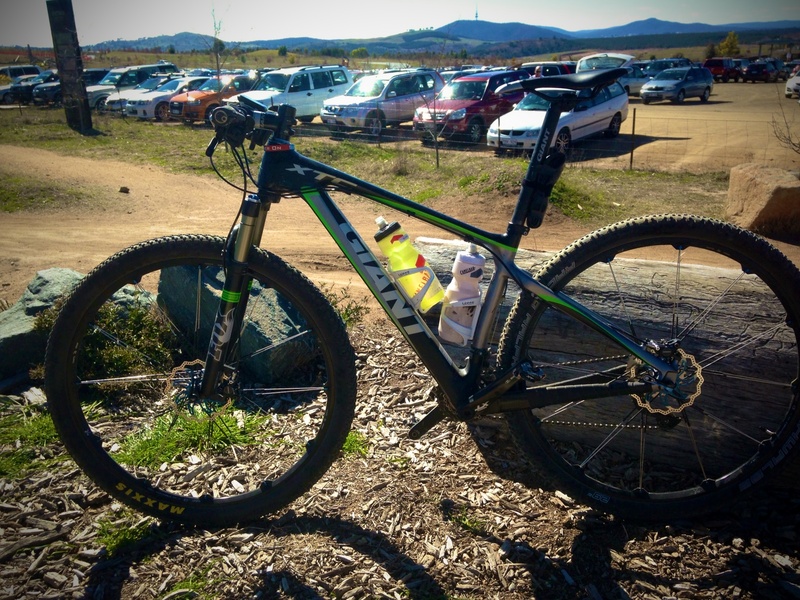 I stayed off the bike until Saturday morning when the Scott 25 Hour began at Mt Stromlo. I rode a total of 111.5km during the Scott and a total of 167.3km for the week. Not a bad second week on the bike after taking a month off. If you want to read my wrap up of the Scott 25 Hour 2013 click here!! Week 15 of my training for the Battle of the Beasts was my return to the saddle after almost a month of not riding. In the months leading up to my Wedding and Honeymoon I debated and weighed up the pros and cons regarding racing in the Kowalski Classic. The 2012 KC was not only the inaugural Kowalski Brothers signature event it was also my very first race. I remember starting in the very last wave of the 50km race and finding myself at the tail end of the third wave riders before the feed station at the 30km mark. I did very little lead up training and the longest I had ridden on a mountain bike up to that point was 32km on fire roads. I loved every single minute and pedal stroke of my first race including the debilitating cramps in my calves; and the four days I couldn’t walk without pain afterwards. The Kowalski Classic will always hold a special place in my heart; so opting out of this years event due to time off the bike and travelling back to Canberra from Melbourne was a hard decision. From all accounts I missed out on a tough but enjoyable ride through Sparrow Hill and Kowen Forest’s finest singletrack. While I was travelling in Vietnam and Cambodia I managed to pick up a little chest bug that was still in my system and causing me to dry cough and also cough up blood. Because of this, Week 15 didn’t kick off until Wednesday morning with a slow ride around Mt Stromlo with my friend John. It was the perfect ride to ease back into training; slow, steady and finding my flow. I backed the morning ride up with a Wednesday night ride with The Berm crew around Sparrow Hill and Kowen Forest as prep for the following Saturday night’s CORC 3 Hour Twilight Race. I felt good; albeit a little tired from the morning’s ride and a day slaving away at work. 36.9km of singletrack on Kate and my quads and calves were cramping and sore. Welcome back to the world of cycling Chad! After spending Thursday sitting in my office at work with quads sore to the touch I decided I would break out Zooey the Giant Anthem for the upcoming CORC 3 Hour. A quick lube and 10-point safety check of my trusty dual suspension stead on Friday morning; I strapped her to my roof and headed out to Mt Stromlo for another quick loop. Considering I had only ridden Zooey once off road since buying Kate the XTC, I quickly found my flow and rhythm and was relishing the smooth riding and her ability to launch into the air on the smallest of jumps. After a very enjoyable 15.1km I decided Zooey would be my ride for the next evenings twilight race. I was very excited for Saturday night’s 3 Hour race at Sparrow Hill. I hadn’t ridden a 3 Hour race this year and was looking forward to riding out there at night. I’m not the greatest rider in the world by any means; but I love riding in the forest at night. It’s a Zen-like experience riding through the pine trees with just you, the bike and lights. Factor in a few dozen other riders feeling the same buzz and you’ve got yourself a race. The Canberra weather had turned on the high-winds for a few days leading up to Saturday and a number of trees had fallen over on the course. Nigel had marked out some new tracks and made the immovable trees clearly visible and soon we were on our way. The first lap was surprisingly fast as we settled into the singletrack and headed into the first climb. As promised there were a few detours in place and a few tree trunks requiring some bike lifting and running jumps to clear; but despite the unexpected cyclocross additions this was a super-fun course. I settled into a steady but quick pace and was enjoying my second lap until my chain broke and I was forced to up-end Zooey and attach a quick link to get back on the course. 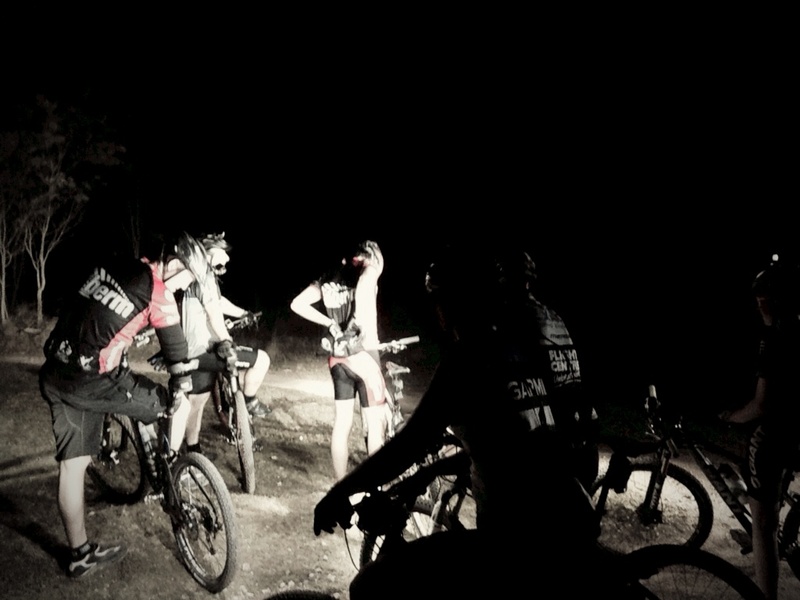 I spent less than five minutes making my repairs in the pitch black forest and didn’t see another rider; let alone a set of lights. The field had well and truly spread out. At around the 8km mark I felt all the tension in my cranks disappear and realised my chain had broken a second time. I came to stop and looked at my rear derailleur and discovered that my chain was no longer anywhere near my bike. I searched an area of about 50m along the track I had just ridden and couldn’t find it anywhere. Relegated to the fact my race was now over I wanted to complete this lap as quick as possible so I rolled down the hills and sprinted up the climbs as I headed back the registration tent. I retired after two laps and spent the remainder of the race on the sidelines braving the cold. Not wanting to push it too much for my first week back on the bike I didn’t ride at all Sunday; instead I washed and serviced my bikes in preparation for Week 16. I imagine opening the door to my garage, I walk past the two parked cars, the boxes of tools and up to my bikes; two hanging on their ceiling stand and the XTC resting against the wall. I look at my three Giant bikes, clean, serviced and facing the automatic door almost as if they are waiting to roll onto the asphalt outside. But the tyres are low and a spider has built a small but intricate web from the cold brick wall to the rear derailleur on the XTC. I look to the bench where my helmet, gloves and shoes sit; they are covered in a fine layer of dust. My name is Chad and it has been 25 days since I last rode a bike. It has been a busy three weeks for me. I drove to Melbourne and got married to the beautiful Carly and travelled to Cambodia and Vietnam for our Honeymoon. During that time I haven’t ridden a bike or conducted any sort of training outside of hiking around the countryside. Before this break in training I was carrying a few niggling injuries including a relapse in my torn pectoral muscle. The time off the bike has been good and has helped me relax and focus on what I want to achieve leading up to the Battle of the Beasts and for the rest of the year. 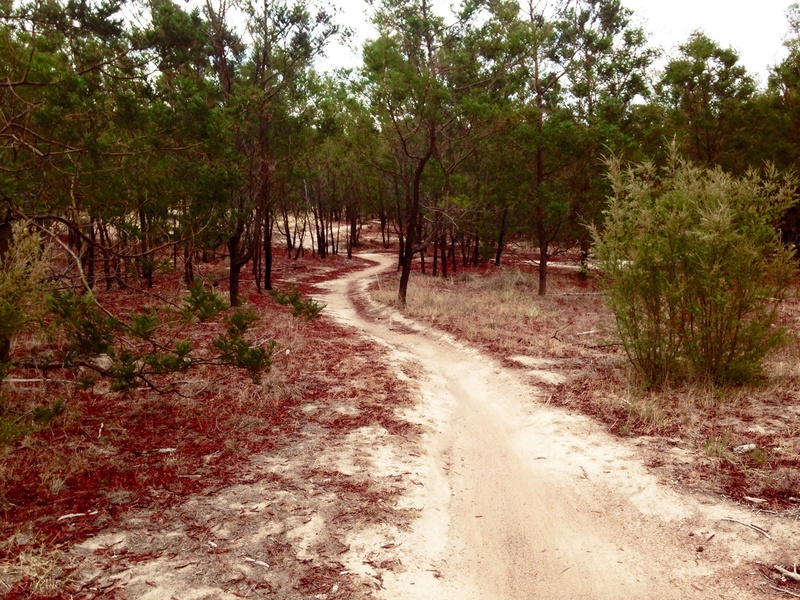 I have lost some fitness and muscle tone so I won’t be jumping into any huge rides just yet; but with a 3 hour twilight race next weekend I will aim to spend a few hours off-road and doing a recce of the proposed course. A good training regime is broken down into many parts. It’s not just the riding and strengthening of muscles that gets you fit; there’s nutrition, hydration, rest, and mental preparedness. I try to find a balance with all of these things and pay particular attention to my nutrition; I am usually pretty disciplined with my meals and race preparation. Anyone that has sat down and ate with me will know I eat a lot. The average person consumes around 8’000kj daily; including approximately 300g of carbohydrates. When I’m riding a lot I can consume more than double that amount; and if I’m including gym work at least 3 days a week I can sometimes triple the daily averages. This is a good and bad thing. I’m getting the fuel my body needs; but I’m also speeding up my already fast metabolism. Because of this it’s very difficult for me to gain weight so I sit anywhere between 74-77kg. Lately I’ve been eating a lot and not riding as much hoping this would help me put on some weight. Having overcome a fairly serious muscle tear in my chest; I’ve started light weights again with the aim of building more upper body strength. So far it’s working as my left shoulder/chest/neck feels really good after ditching the chest brace I’ve been wearing for the past 4 months. This last week was a testing week more than anything else. 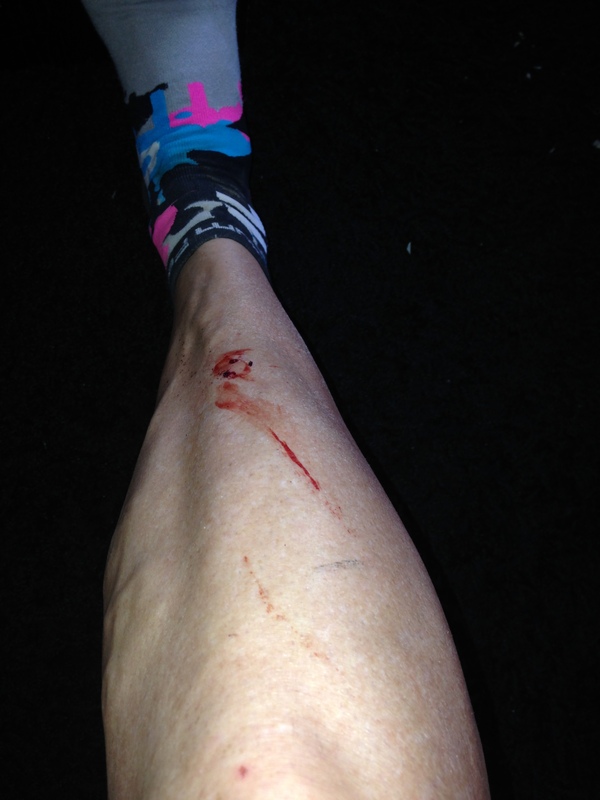 As I’m about to spend almost a month off the bike and out of training I didn’t want to smash myself into the ground. Instead I spent the few days I had on the bike testing out a new nutrition/hydration mix and enjoying the brilliant Canberra weather. At the JetBlack WSMTB 12hr, fellow Bermer Adam told me about his beverage mix of choice; Perpetuem. We have similar sporting backgrounds in endurance running and cycling and have very similar body and fitness types. I often get cramps when I ride long distances and increasing electrolytes doesn’t really help me. After doing some research I discovered that while my hydration was pretty spot on, my nutrition was way out. Ordinarily over an endurance race you rely on caffeinated energy gels and sugar snacks to keep you going. Some people eat bananas, but considering I’m somewhat allergic to potassium; explosive diarrhoea and vomiting while riding makes bananas are a no-go. I trialled Perpetuem over two different rides earlier this week. All of the CORC XC races are short-course races where I’ll ride at maximum intensity anywhere between 10-20km. This quickly saps my energy levels and I get very few opportunities to drink. So on Monday I went for a short spin of Bruce Ridge where I rode short stints at maximum effort and tried the new bidon full of Perpetuem. The drink itself is a milky, fuller mixture and is quite filling. It’s more like a meal replacement drink without the dairy feel to it, however there was no after taste and I felt hydrated. It passed the test for short-course. 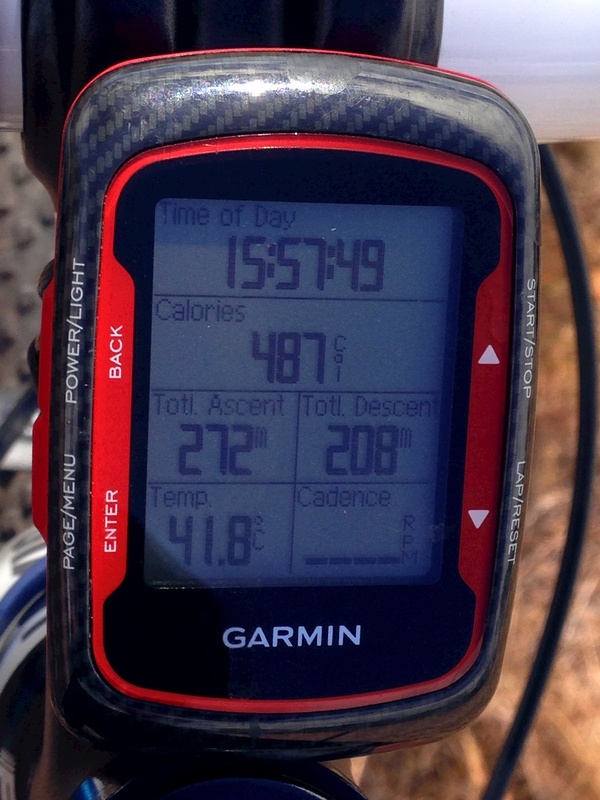 On Tuesday I went for a longer endurance ride of Mt Stromlo. 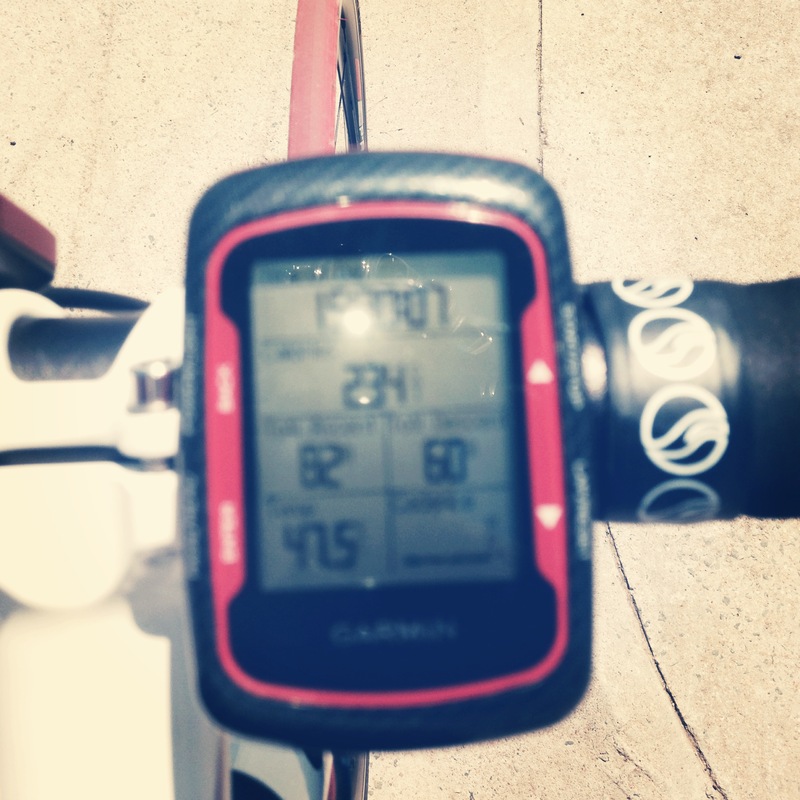 52km of medium to high intensity riding on a beautiful sunny Canberra day. It was a perfect opportunity to test out my hydration/nutrition for endurance rides. 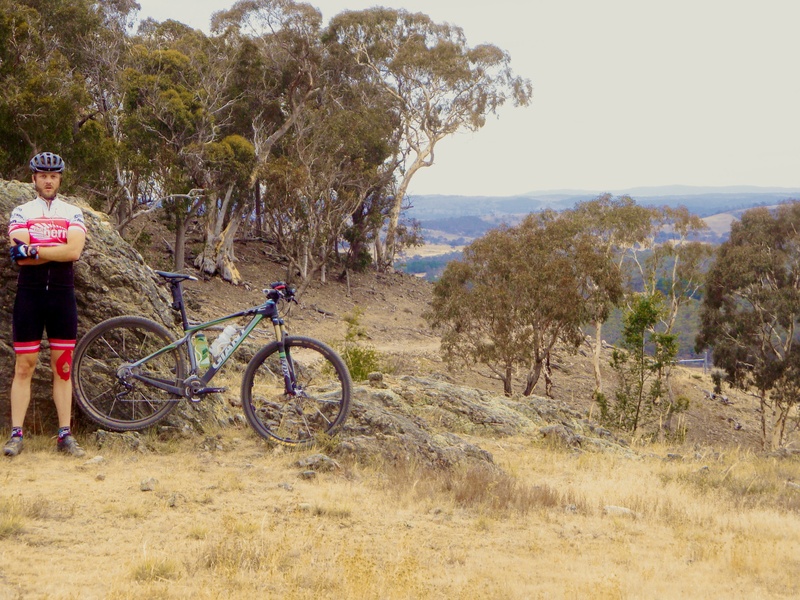 While I was struggling a bit in my last few kilometres I was pretty happy with the plan I came up with and will certainly put it into effect during my next enduro; the Scott 25 Hour at Mt Stromlo.
.:A perfect Canberra day at Mt Stromlo:. Wednesday was a difficult day to get back on the bike after the previous day’s ride. My legs were tender and my lower back was a little tight. But I headed out for an easy loop of Kowen Forest/Sparrow Hill. Once I was weaving around the pine trees I started to push out. All was going well until I hit Rolling Thunder and decided a good old fashioned Strava run was in order. The track was surprisingly loose and I took a corner a little too fast. Cue some heavy rear braking and then some sideways action and I was looking at tree coming towards me at speed. All I could think of was “save the carbon bike” so I did my best Neo impersonation and put my hand out in defiance. I hit the tree with my hand and ended up on the ground; body and bike intact. It was at this point that I decided to end both my day and week on the bike. With only a few days until my Wedding and a heart-racing close call already I thought it best not to tempt fate with any more time in the saddle. For the first time in a long time I entered a new week of riding and training without feeling any pressure. I ended last week on a high after relaxing and just enjoying my time on the bike. So on Monday morning when I woke up feeling a bit tight and sore in my hamstrings I opted out of commuting to work and rested. On Tuesday I took Kate the XTC into work and rode home via a loop of Bruce Ridge to start my week of riding. I rode a total of 43.6km in what felt like freezing temperatures but was in fact a balmy 4’C. 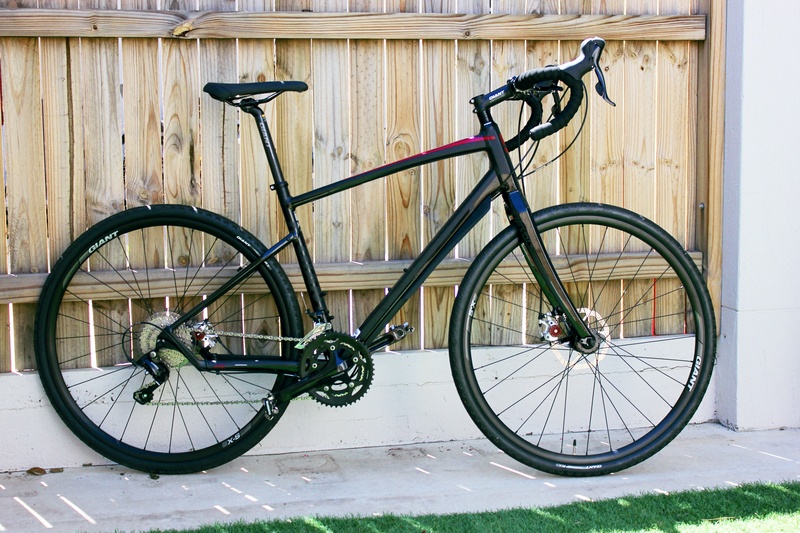 I took Sara the roadie into work on Wednesday morning and did a quick lap of Lake Burley Griffin with the intention of doing a bigger ride in the afternoon. Unfortunately my beloved Giant Defy had other ideas and I ended up with a busted derailleur and had to abandon any further road rides. I am yet to fix this bike and with more time to spend on the MTB before the Battle Of The Beasts, I doubt she’ll get another ride in the next couple of months. Thursday and Friday were literally washouts for riding in Canberra. I had no intention of riding in the wind and rain so opted for some time in front of the TV honing my XBox skills. Saturday was a ride-free day due to the Girly flying out of town and my vote to ride having been vetoed. Sunday kicked off with my regular ride at Bruce Ridge with The Berm crew followed by breakfast at Edgar’s Inn. I haven’t ridden Zooey the Giant Anthem off-road since I bought Kate the XTC a few months ago. I have been riding her to work quite often but this was her first time on dirt in a long time. It took me 10km to get used to her not-so-tight cornering, non-carbon weight, dual suspension and longer wheel base. I was heading out to Mt Stromlo mid morning for a short spin and with some time to spare I went home and swapped Zooey out for Kate. I was glad I did as I met up with Bermers Roger and Alyssa and followed them around one of the Scott 24 Hour loops. After finishing my ride with 14.2km under the wheels I packed up my bike and gear and went home with a total of 92.4km for the week. After a big 352.5km the week before, I was fairly pumped to get back on the bike to put some serious kilometres under the tyres for another week. However my body had other ideas. A head cold and later some gastro meant I didn’t get any time in the saddle before I headed up to Dargle Farm for the Jet Black 12 Hour. Initially I was very excited to do this race as it meant some solid hours on the trails and a chance to take my fundraising for Soldier On on the road. But as the week progressed I knew I wasn’t going to shake the head cold no matter how many cold & flu tablets and paracetamol I smashed down. Alas my ride didn’t go too well as I only managed to ride 80km in the 5 hours I spent on the bike before I pulled out. I spent my last lap walking most of the climbs and vomiting in between trying to catch my breath. All in all Week 8 leading up to the Battle Of The Beasts was a big let down.